Sick of feeling helpless when there’s chocolate in sight? We’ll help you curb your hankerings with our guide on how to stop cravings. Keep crave-worthy foods off your shopping list and try not to succumb to your desires when you’re out of the house. It doesn’t take much to make me want to eat chocolate. A sunny day. A rainy day. A snowy day. Pretty much any kind of day is perfect for indulging in my favorite sweet. Yes, chocolate can be good for you (this is what I keep reminding myself when I give in to my food craving). Studies prove that chocolate containing 70 percent or more of cocoa can improve your memory, mood, and heart health. As with everything, though, too much of a good thing could negate the benefits. If you’re like me and find it tough to say “no” to your favorite treats, read on to find out how to stop cravings. 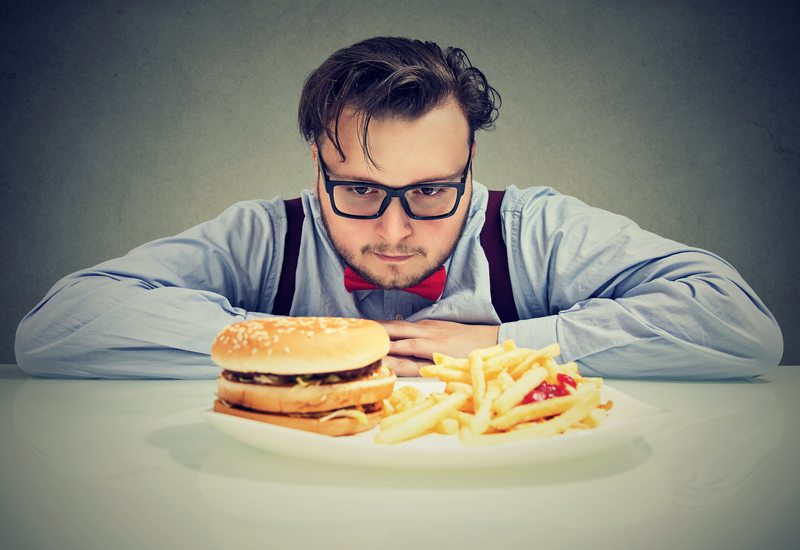 Are Your Food Cravings Physical or Emotional? You’re hankering for high-fat and high-sugar comfort foods. You feel good while you’re eating and guilty once you’ve finished. You’re feeling emotional (sad, lonely, angry, stressed). If you ignore the craving for a while, it goes away. Reaching for a tub of ice cream won’t cure a broken heart, say researchers from The University of Minnesota. According to their study, eating so-called “comfort foods” improved mood, but so did other types of food. “Although people believe that comfort foods provide them with mood benefits, comfort foods do not provide comfort beyond that of other foods (or no food),” they say. You haven’t eaten for a few hours. You have a headache or feel weak. The feeling persists even if you ignore it. You aren’t yearning for one particular food. You feel better after eating a snack or a meal. Eat well. 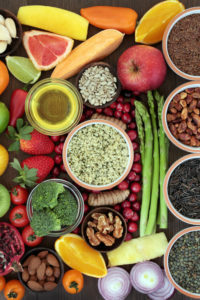 Fill up on healthy foods like vitamin-rich veggies and fruit, and eat regular meals every day. Make sure to choose low-sugar and low-fat options. Another tip: load up on protein. Research proves that eating protein can help you lose weight by keeping you satiated for longer. A 2011 study found that obese men who consumed 25 percent of their calories from protein felt more full during the evening and were less likely to partake in late-night snacking. Plus, eating a high-protein breakfast can curb cravings for sweet and savory foods, say researchers of a study published in Nutrition Journal. Time to bust out those eggs. Be mindful of what (and when) you eat. Mindless eating is a danger zone. You know the type: the bowl of pretzels you inhale as you binge-watch TV, or the M&Ms you pop while sitting at your desk. They boost your calorie count while offering little in terms of nutrition. Try to be mindful of the calories you consume. If you’re going to snack, reach for a handful of heart-healthy nuts (i.e. almonds, or cashews) or a few carrot sticks. Even low-fat popcorn is a better option. Drink water. Often, hunger is more a sign of dehydration than it is a need for food. Drinking water can help quell those tummy grumbles and keep you feeling full for longer. Plus, swigging water has been proven to help you eat and crave less. Researchers of a study published in Obesity found that drinking 500 mL of water before a meal can lead to greater weight loss. Aim for six to eight 8-ounce glasses a day. Never shop hungry. Have an entire meal, a snack, or at least a big glass of water before heading to the grocery store. Your full tummy will leave you less vulnerable to the seduction of junk food items (we shall ignore you, cookie aisle) that you don’t need. Stop stress eating. It’s easy to feed our stress with unhealthy foods. We feel tense, so we reach for a bag of candy. All of us have been guilty of stress eating—especially women. According to a 2014 study in Appetite, stressed women are more prone to crave sweets, which leads to increased weight and hip circumference. Instead of fueling stress with unhealthy foods, try to reduce your stress level. Proven methods of successful stress relief include meditation, breathing techniques, yoga, exercise, and acupuncture, among others. Snack little and often. Although you may think cutting out snacks will help you lose weight, it can also increase cravings. The result, you’ll cave in to your yearning and eat more than you would have if you were prepared with a healthy snack. Keep a container of fresh fruits and veggies in the fridge for easy snacking. Or grab a handful of nuts. Distract yourself. If you have a craving, try thinking about something else. Call a friend, sing along to the radio, or go for a walk—anything to forget your desire to eat something you don’t need. During a study published in Appetite, 48 women were given a smartphone app pre-loaded with a fast-paced visual display. When a craving hit, they were asked to watch the app. The result: The women experienced fewer cravings and were less likely to cave in to their cravings than women who did not use the app. Chew gum. Keep your mouth busy with something that doesn’t add calories. A 2011 study of 53 women found that chewing gum for 15 minutes every hour for three hours made the volunteers feel more full while also reducing their hunger, appetite, and cravings for salty and sweet foods. Opt for a sugar-free gum to help fend off cavities. Don’t buy unhealthy foods. It’s hard to indulge in something when you don’t have access to it. Keep crave-worthy foods off your shopping list and try not to succumb to your desires when you’re out of the house. Instead, indulge in those healthy snacks we talked about earlier. If you’re heading out to a party or dinner, reduce your risk of giving in to treats by filling up on a salad or drinking a big glass of water before you leave—such strategies will help keep you satiated, making you less likely to overindulge. add, almonds, anxiety, anxiety depression, appetite, bmi, breakfast, broken heart, calories, chocolate, dehydration, depression, emotional stress, exercise, fast food, fast food and obesity, food, food cravings, ghrelin, health, healthy snacks, heart disease, heart health, heart healthy, hormone, how to stop cravings, improve your memory, junk food effects, lack of sleep, leptin, Lose Weight, meditation, memory, mood, nutrition, nuts, obesity, protein, sad, sleep, sleep routine, stress, stress eating, stress relief, sugar, sweet tooth, vitamin, your memory.